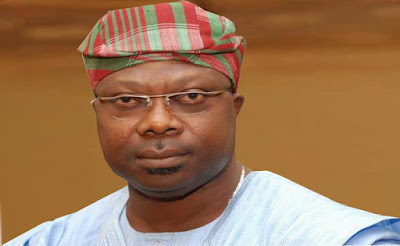 The police have invited a former deputy governor of Osun State, Iyiola Omisore, over an alleged attack on the late Senator Isiaka Adeleke in the build up to the governorship primary election of the Peoples Democratic Party in 2014. The late senator, who was a governorship candidate of the PDP shortly before the 2014 governorship election in Osun State had accused Omisore and a former Minister of State for Police Affairs, Jelili Adesiyan and one Sogo Agboola, of beating him up at a hotel where he had gone to meet officials of the PDP sent to conduct the primary. Adeleke, eventually defected to the All Progressives Congress ahead of the poll to assist Governor Rauf Aregbesola to win his second term while he (Adeleke) contested Osun West Senatorial Election and won. He, however, died on April 23, 2017. Despite the death of the complainant, the police last week sent an invitation to Omisore asking him to report to the Police Headquarters in Osogbo concerning the case of assault levelled against him by the late senator. A copy of the letter obtained by a Punch correspondent in Osogbo on Sunday dated, October 20, 2017 was signed by the Deputy Commissioner of Police State Criminal Investigation and Intelligence Department, Mr. Umega Uzochukwu. The Police Public Relations Officer in Osun State, Mrs. Folashade Odoro, when contacted told our correspondent that the police invited the senator. Omisore and the family of the late senator seem to have buried their differences as a result of the alleged attack on Adeleke because Omisore was one of the PDP chieftains that supported Adeleke’s younger brother, Ademola to win the by-election held on July 8. Efforts by a Punch correspondent to speak with Omisore on the police invitation were unsuccessful. Calls placed across to his telephone were not picked and the text message sent to him to confirm if he honoured the invitation or not had yet to be responded to as of the time of filing this report.